The last week or two on site proved to be a wonderful whirlwind. 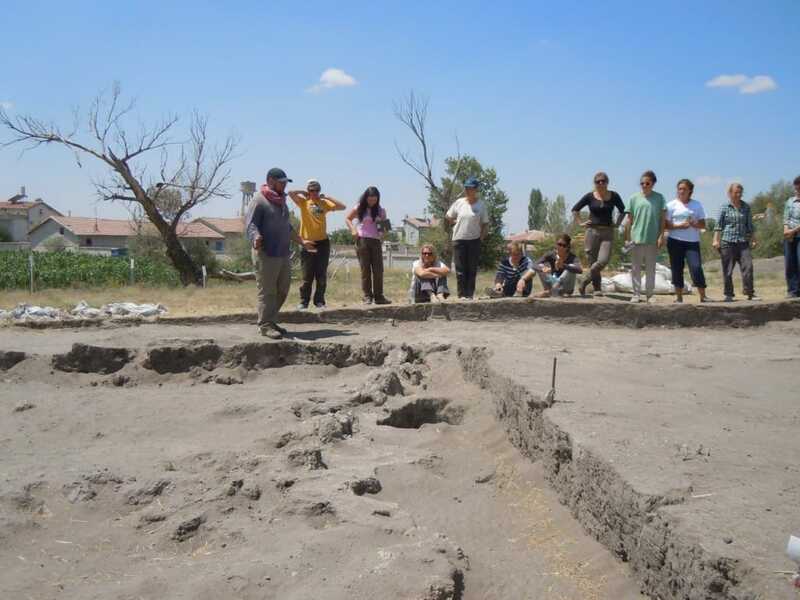 IN that time we wrapped up excavation and carefully backfilled the trenches, we meticulously prepared the samples for export for approval by the Konya Museum, and we disassembled the entire camp with Tetris-like precision. Even our arrival home was packed with more post-processing work so that only now can we really sit down and wrap up BK13 with some trench summaries and fond farewell to all our readers. Area P was a very rich and productive trench this season, as we extended our scraped area to reveal more about the location of buildings around the site. We have clearly documented that buildings were common on the southern edge of the mound, indicating that the open spaces and distinctive lighter structures in Area M, in the centre of the site, were surrounded by houses. In P we revealed 2 new buildings, much building debris, probably from a third building and hearths and ashy midden deposits between buildings. The building debris is the earliest material we encountered in the north western part of P and consisted of a dense spread of mudbrick collapse. Amongst the collapse was a cache of 37 Collumbella marine shell beads. Building 20 was the best preserved in P and was sub-oval with a gently curved southern wall and a straighter western wall. The wall of this building was made by lining a cut with alternating thicker and thinner blocks of plaster. We have encountered the floors of this building along its western wall. 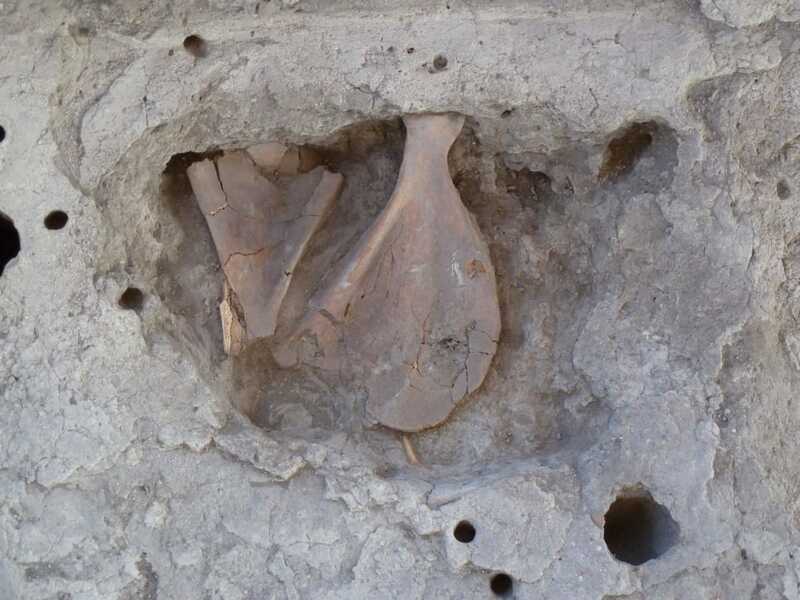 The centre of the building was filled with dumped debris including large quantities of unusually complete animal bone, notably the jaws and feet of wild boar, aurochs and equids which probably derive from primary animal butchery. It was then cut by a later Neolithic grave, a simple pit with an adult inhumation. Trench P, open to the hot Turkish sun, was perhaps physically the hardest trench to work in this year. But the sheer abundance of architectural and artefactual finds made it one of the most informative and rewarding for the teams. And so we thank our two supervisors Dr Jodie Benton and Peter Bikoulis and the team of students and volunteers which made this season such a success. 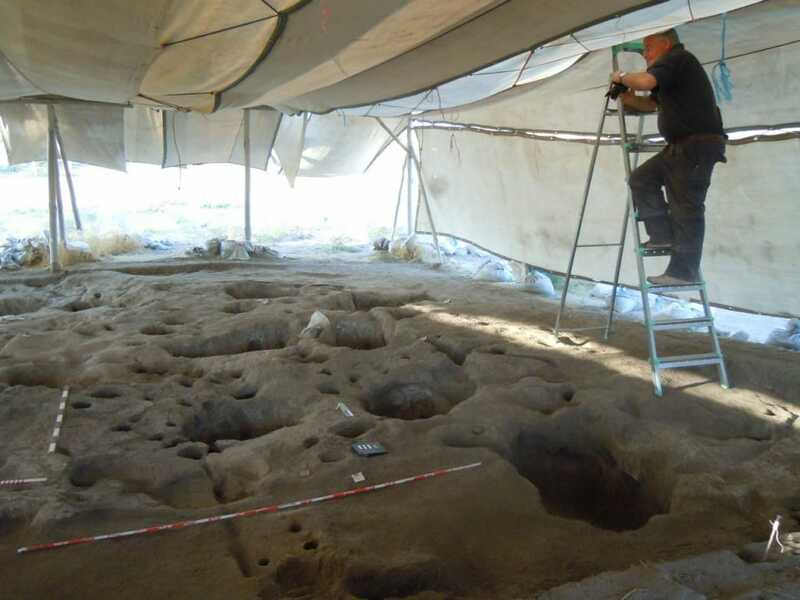 Trench M, our largest trench, was also rich in finds this season. In Area M we continued to excavate the western part of the Area. 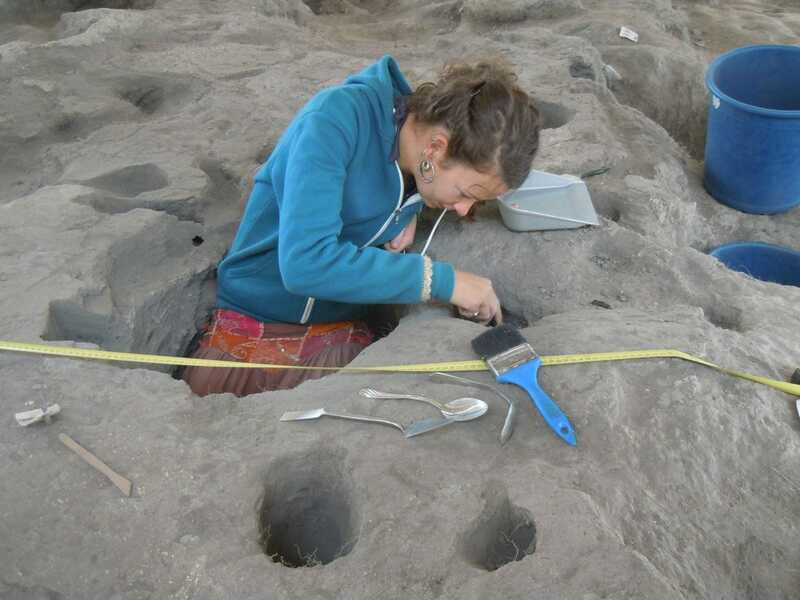 Our aim is to reach natural and so achieve a sequence through the deepest part of the archaeological deposit. This area is largely midden deposit and we retrieve most artefacts and our faunal and botanical samples from these areas. This material will add an important dimension to our understanding of environment and plant and animal exploitation. In addition, in the northern area of M we have expanded the trench one meter north to expose more of the light work structures in this area. In the northern extension we excavated structural collapse over the floor of Building 16 . As well as the burnt material on the floor of the building, there were small carbonised beam elements within the burnt structural material. In addition, there were surfaces within the structural debris. It seems likely, therefore, that this was roof collapse. 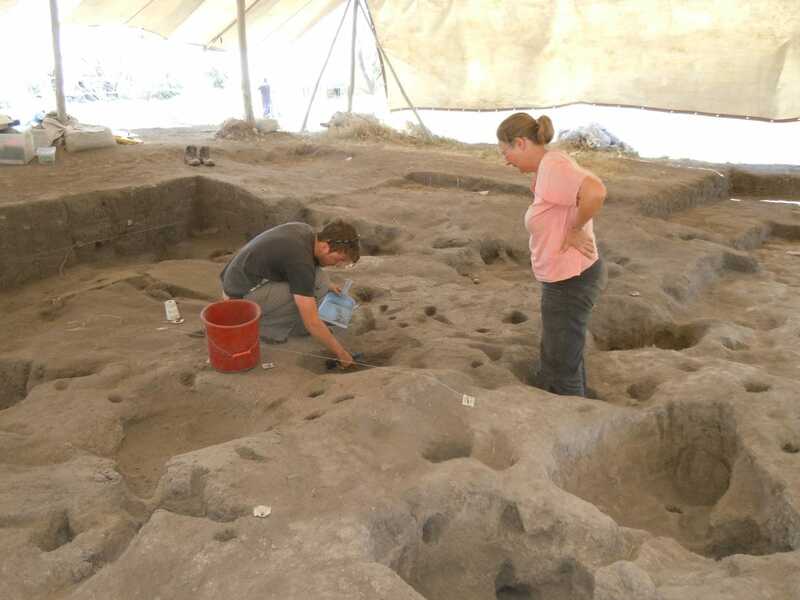 This indicates that at least some buildings in Area M had mud and wood roofs, even though walls seem to have been relatively light and the floors were made differently and had different features from the houses we have found in other Areas. 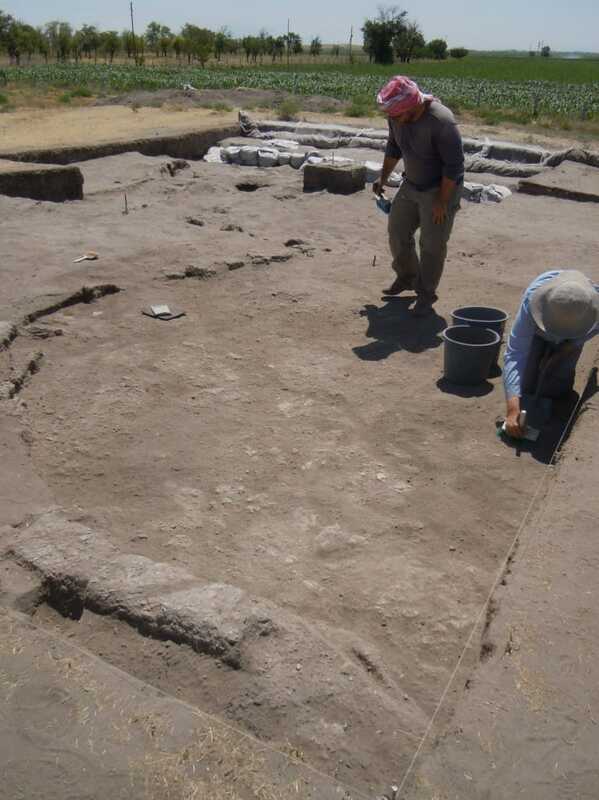 We excavated multiple floors of another light structure in the western part of Area M. There are no clearly defined walls surrounding these floors, but the structure must have been roofed as the floors would not otherwise have survived. These were mostly very thin ashy surfaces with stake holes in various phases. Some were slightly better made, including an example with red ochre scattered on it. A plastered channel cut through these floors. 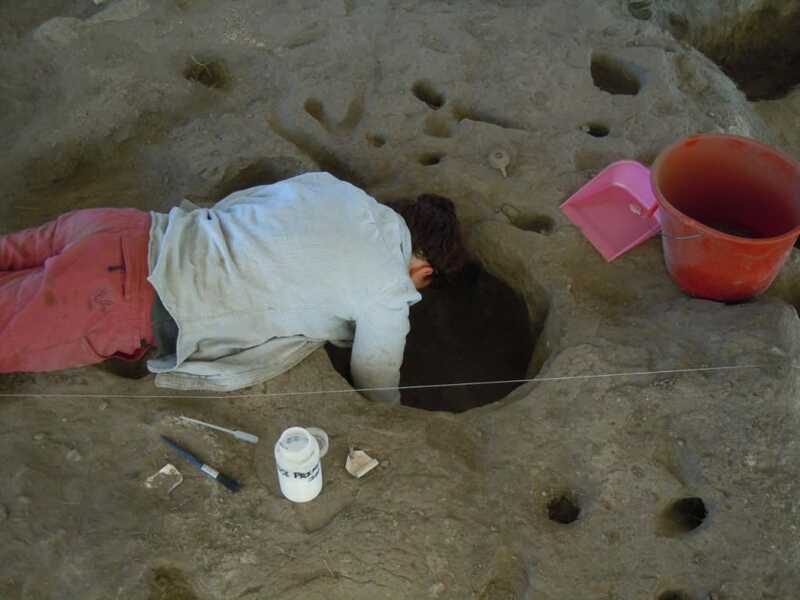 The western most part of M saw the accumulation of extensive deposits of less consolidated midden, punctuated by the cutting of c. 1m diameter pits and small oval pits and occasional long lived multi-phase hearths. 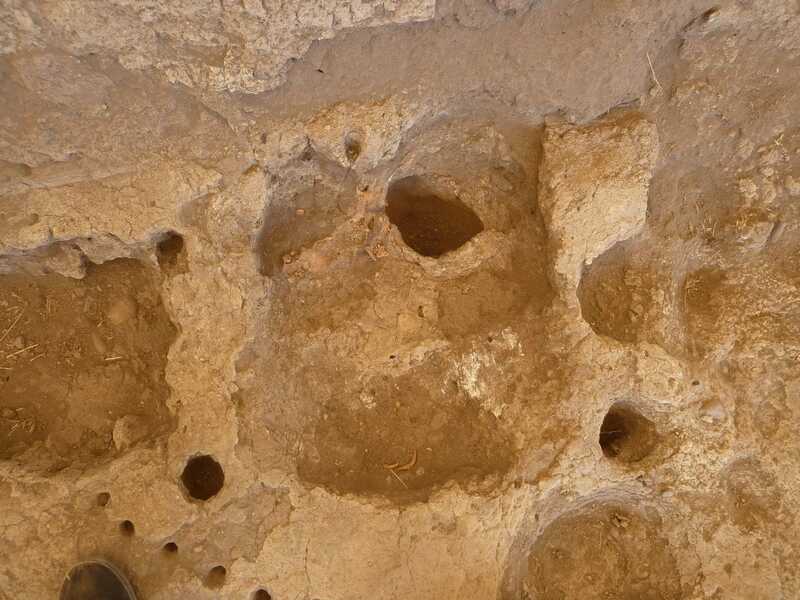 Two of these pits contained fragmented remains of human skulls, from at least 5 individuals from the two pits. This continues the trend noted in previous years of the occurrence of human head parts in the middens in Area M.
In the eastern part of M we excavated rather different types of midden, with finer layers of accumulation, some containing coprolites. In this area we found our first definite articulated inhumation buried in external midden deposits. This was an adult crouched in a small relatively shallow oval pit. The body had been wrapped in some material preserved as phytoliths under and over the bones. Trench M was perhaps one of the more complex trenches to work in this season, and so we give a big thanks to our supervisor Dr Philip Habgood and his team of students and volunteers for their hard work and successful season. 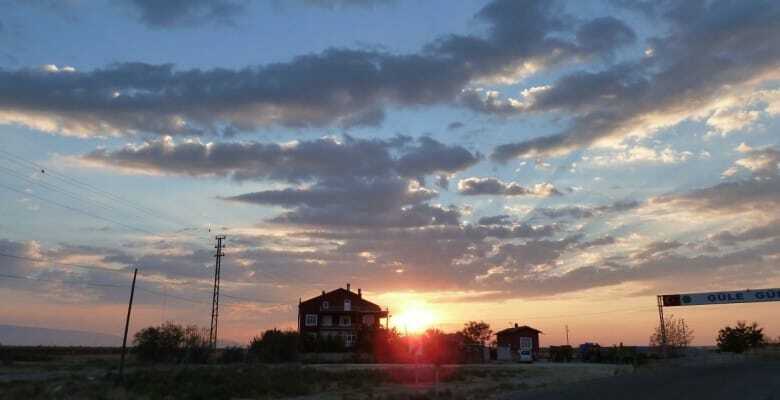 Area N is our beautiful, intact, well preserved typical Boncuklu house. Here, we continue to excavate in advance of full scale conservation measures. The ambition for this particular trench, is to conserve the house in the hopes of keeping it open to the public, year round, as part of an interactive tour of the site in conjunction with the information and activities provided in the visitors centre. This season we focused on the dirty north-western area of the building. Here we have excavated a series of packing deposits around the main hearth area, where they frequently remodelled the hearth. We have excavated two pits in this area on the edge of the northern wall near the hearth, one pit had 2 animal scapulae plastered into the pit. One was a boar scapula and the other was that of either a deer or wild caprine. 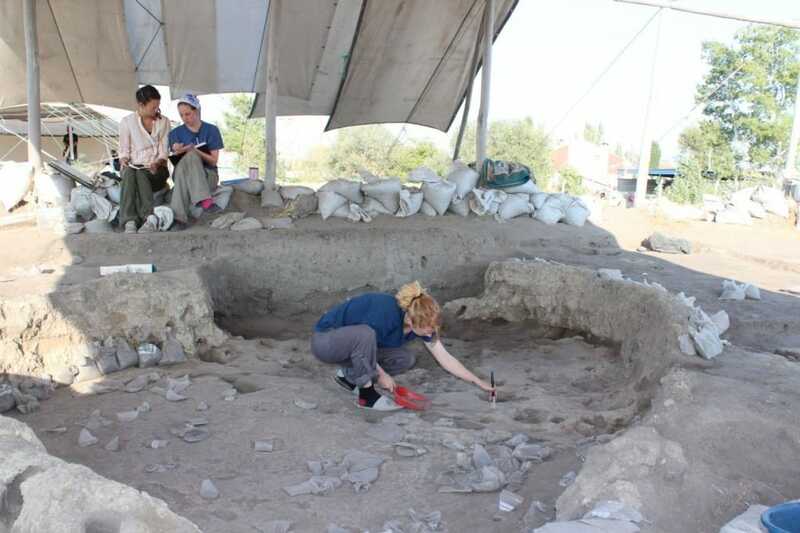 We also excavated two floors from the main south-eastern clean area of the building. 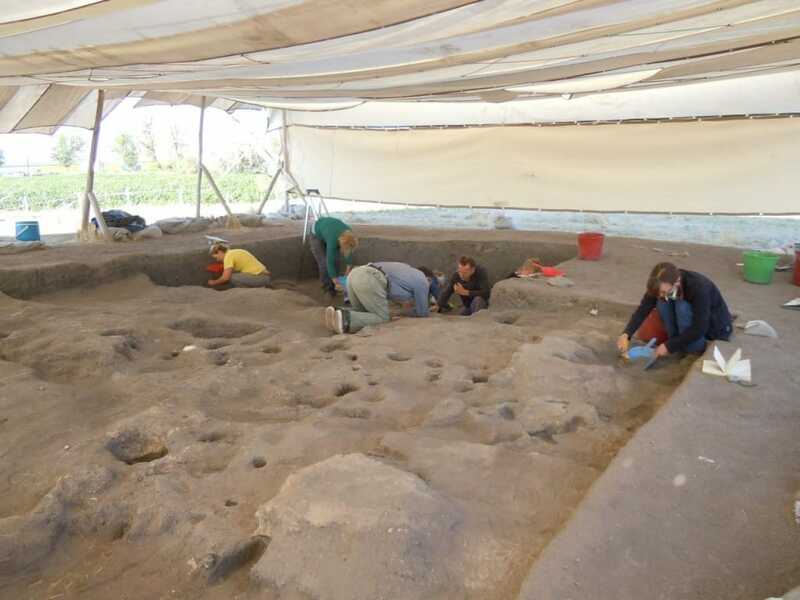 This year we excavated more fully the entrance area of this building. This was narrow at 0.45 m wide and had many excavated floors, some with reed phytoliths on them. The earlier phases of the entrance had a flat threshold with a wild cattle horn set into the edge of the entrance area. The middle phases of the entrance had a distinct raised threshold about 10 cms high with 16 floors in the entrance area. The floors sloped down to the outside, showing exterior areas were lower to the east. We have excavated midden to the north of the house, revealing that the building was sunk into these deposits. 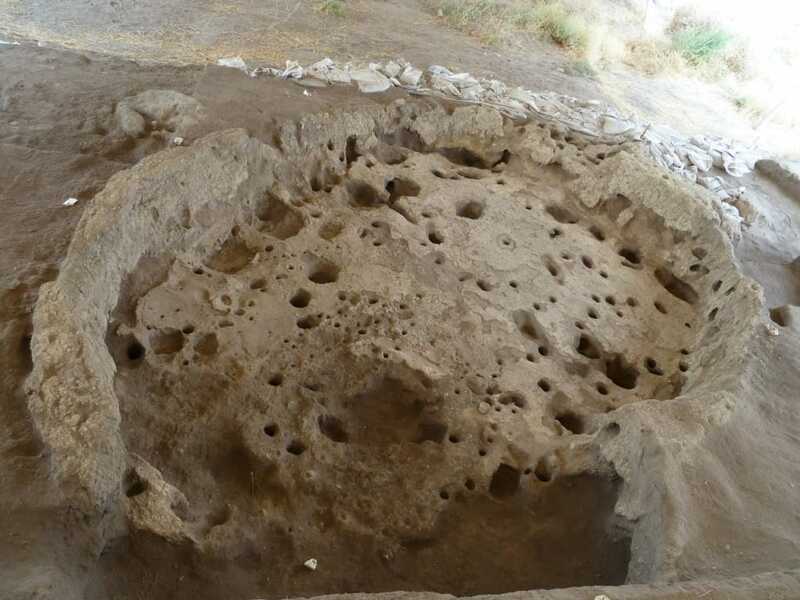 In these middens was a hearth and a large accumulation of plaster which may been building material or a small platform. Trench N is, as always, a very delicate trench with very fragile floor and intricate installations. For their light touch, and hard work, we thank our supervisor Dr Cecilie Lelek Tvetmarken and her team of students and volunteers. Area H is perhaps one of the most complex of our trenches, with many buildings and burials and intriguing installations. Here, we are focussing on the excavation of Building 12. The north and south walls of this building are missing due to later Neolithic activity. The central section of the building consists of several slumped areas over burials and pits. There is a large hearth in the north west of this building like other buildings. We excavated several floors that sealed the latest burial in the building. The burial, Grave 30, was that of an articulated adult male, tightly bound together. The burial had been placed in or on a basket or mat whose impressions were to be seen in the marl at the base of the grave. Several of the floors had small patches of red ochre painted plaster. Predating Grave 30 a further series of approximately 10 floors have been removed from Building 12. These have revealed 2 irregular shaped shallow small pits in the middle of the building, unusual when compared to other buildings. In addition, there have been two postholes each in different floors. A third more regular shaped small oval pit 20 centimeters long, had been packed with plaster and then reused as a posthole. There was a small patch of red ochre next to this pit. These floors postdate a large oval pit cut down to the natural marl. This pit is the same shape and size as burial pits but contained no human remains. A large retouched flint blade had been placed on the surface of one of the lower ashy fills. The pit was filled with bricky debris, ashy lenses and phytolith layers. After having been plastered over the slumped floor area was used as a hearth. The primary purpose of the pit is difficult to understand, there was no evidence of the burning of the cut. 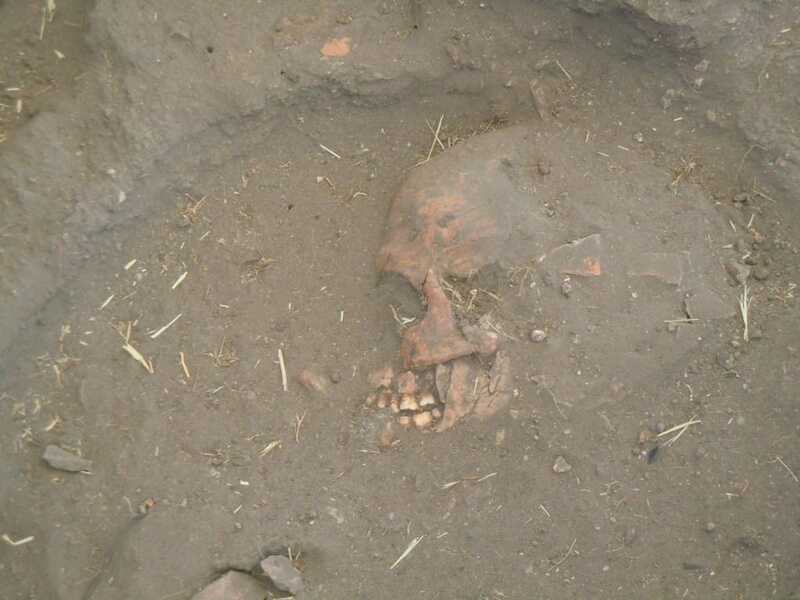 It may have been a grave from which the human bones were removed or perhaps dug but not used. North of Building 12 we excavated a large oval pit cut into the marl that contained a large animal scapula, of a equid or wild cattle. This had then been cut by a small diameter but deep pit, probably cut from Building 14 (excavated in 2012) which may have been a storage pit. The removal of the weaving impression was a delicate and daunting feat. For that, alongside a season of dedicated hard work, we thank our supervisor Dr Natalie Franklin and her team of students and volunteers.